Blessed with nature's green beauties God's own country, lined with sandy beaches, rocky promontories and coconut palms, definitely merits a visit in every tourist itinerary. Kerala's beaches are renowned for the gentle surf and blue waters. Kerala has a 500 km long shoreline dotted with some of the finest, most charming beaches of the world, coconut groves, natural harbours, lagoons and sheltered coves. All of it is as peaceful as the rest of the land and is washed by the pleasant tropical sun. 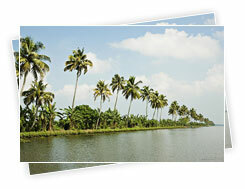 Kerala has a 580 km coast lined with sandy beaches and coconut palms. Kerala’s beautiful beaches are a haunt for tourists making it a favourite tourist destination. 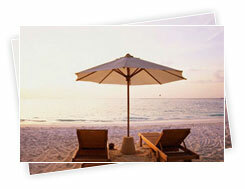 These beaches are some of the finest in India renowned for the gentle surf, coconut groves and lagoons. The hill stations in Kerala are not only noted for their cool, salubrious air and their stunning mountain scenery but are also known for their serene ambience, rolling meadows and spellbinding views. 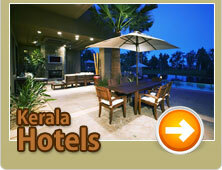 View the lush green hills of Kerala while relaxing at the luxurious hill resorts. Embroidered with meandering roads, rivulets, springs and waterfalls, they are a different world where tranquility abounds. 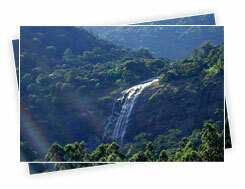 All the hill resorts in Kerala offer the most enchanting experience of nature in all its virgin beauty. The scene is lazy, dreamlike, and breathtaking. This part of the Kerala coast is more than just a tropical paradise. Winding waterways, waves stippled by sunlight, palm-fringed shores, and fishing nets slung from cantilevered masts, which rear like abstract sculptures against a steel-blue sky... Backwaters are unique to Kerala and the area, over the last couple of years has seen unprecedented tourist interest. 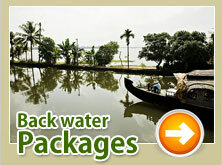 Backwaters form an aesthetically and economically attractive feature of Kerala. A wide variety of fauna fills the wooded foothills of the Western Ghats. 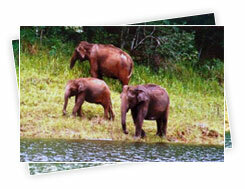 Thekkady is the best spot to view wild elephants. Temples and wood depots are excellent places to have close encounters with tame and trained pachyderms. Taller and older than the elephants are the sturdy trees that provide an evergreen canopy for the teeming life beneath. Beautiful birds, rare flowers, medicinal herbs and an exotic array of creatures find a safe haven in the cool ambience of the forests. Nowhere else will you find water so playful, so pure and so pacifying. Crystal clear waters cascade down the mountains of Kerala. Whispering and gurgling and babbling and rushing they enrich the lives of native and wayfarer alike. Watch them wake serene rivers with a magnificent splash. 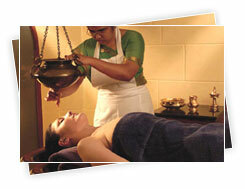 Ayurveda, is the simple, practical science of life, the principles and practices of which evolved through many centuries. The remedies in this system of medicine aim for holistic treatment of the patient, not just the ailment. If you are looking to improve your overall health or treat a specific condition with an effective approach, Ayurveda offers a great deal for everyone. 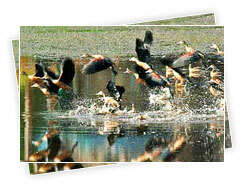 Kerala is paradise for the birdwatcher with hundreds of species of birds at Thattekad, Munnar, Chinnar, Periyar & Kumarakom. The bird-life is as prolific and colourful as the park vegetation and more than 250 species have been listed here. Owing to dense vegetation the woodland birds are difficult to spot though the lake area at Kumarakom with its sweeping views provides excellent bird-watching opportunities. Spot egrets, herons, Siberian stork, darters, teals and hundreds of other migratory birds in Kerala's enchanting bird sanctuaries. Hear them sing. Take their family photograph. Applaud their aerobatic skills. Majority of the population in Kerala are dependent directly or indirectly on agriculture for their livelihood. 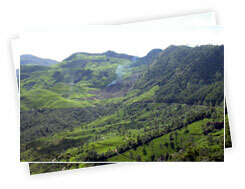 The main crops grown in the state are paddy, coconut, pepper, cashew, cassava, and plantation crops like rubber. Kerala is an Agrarian economy. Cash crops, like coconuts, rubber, tea and coffee, pepper and cardamom, cashew, areca nut, nutmeg, ginger, cinnamon, cloves and the like, give the agriculture of Kerala a distinct flavour. It is coconuts which bring the people their principal source of earning in agriculture. Nearly 70% of Indian output of coconuts is provided by Kerala. 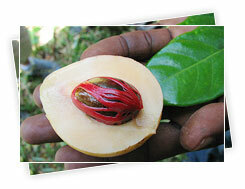 Cashew is an important cash crop of the state. Blessed with nature's green beauties God's own country, lined with sandy beaches, rocky promontories and coconut palms, definitely merits a visit in every tourist itinerary. Kerala's beaches are renowned for the gentle surf and blue waters. Kerala has a 500+ km long shoreline dotted with some of the finest, most charming beaches of the world, coconut groves, natural harbours, lagoons and sheltered coves. All of it is as peaceful as the rest of the land and is washed by the pleasant tropical sun. Kerala has a 580 km coast lined with golden sandy beaches and coconut palms. Kerala’s beautiful beaches are a haunt for tourists making it a favourite tourist destination. These beaches are some of the finest in India renowned for the gentle surf, coconut groves and lagoons. Green Kerala Holidays is well versed with every corner of Kerala making it easier for tourists to navigate through Kerala.